This piece attempts to bring the idea of the war narrative as an act of resistance of the defeated people inspired by “Jaranan Buto”, a folk dance from Banyuwangi, on the eastern tip of Java. 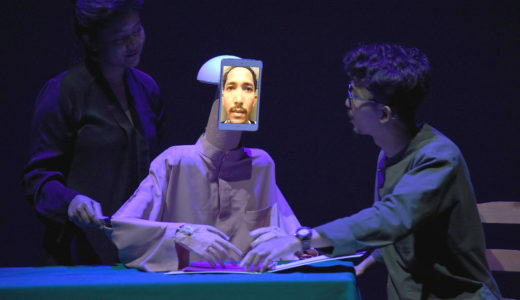 Using music as the main medium to interpret the narrative, Image of the Giant is informed by the history of “Jaranan Buto” that refers back to the 18th century cultural feud between the Mataram Sultanate and the peoples of Banyuwangi. This project started from the experimentation of two composers who work on opposite genre, i.e. a contemporary digital music vis-a-vis traditional tunes. 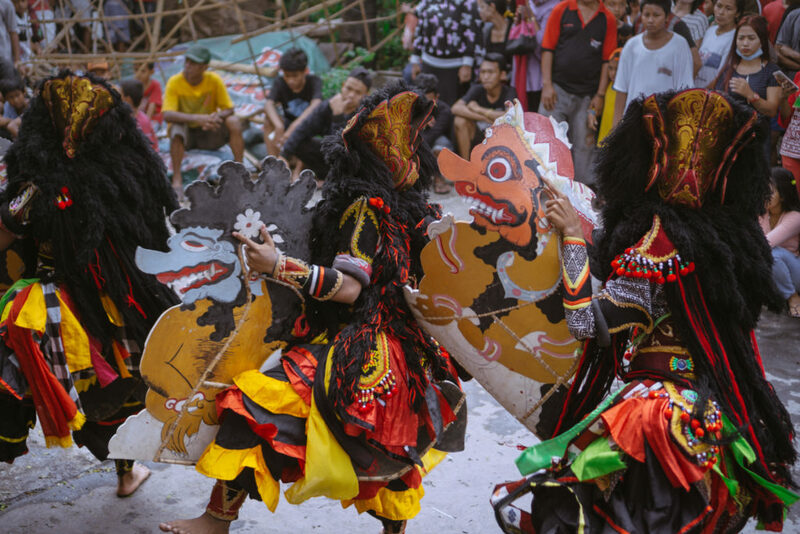 Exploration includes working with a “Jaranan” troupe – a folk dance form that forms the base of Jaranan Buto – in several places in Java, resulting in performance/documentation as way of collecting “Jaranan” oral history and its social context. 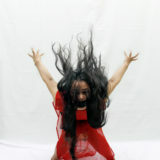 The output of this project is to juxtapose music, visual exhibition, performance and video art. The performance is held in front of a silent movie, and some excerpts of the movie will be looped as part of the exhibition.